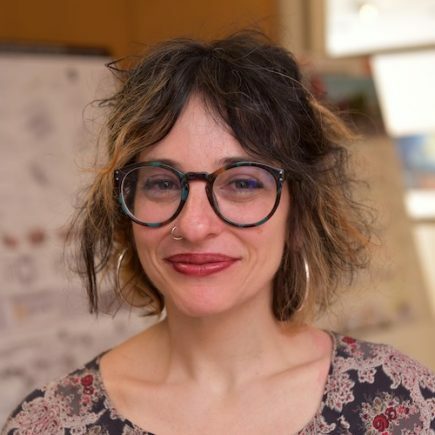 Dr. Orit Halpern is an assistant professor in the Committee for Historical Studies at the New School for Social Research and Eugene Lang College. Her research is on histories of perception, representation, and cybernetics, and her current book project is a historical and philosophical excavation into the relationship between the archive, memory, and perception in digital systems. Her published works and multi-media projects have (or will) appear in C-theory, Configurations, Post-Modern Culture, and The Journal of Visual Culture and at ZKM in Karlsruhe, Germany. She completed her Ph.D. in History of Science at Harvard University in the History of Science (2006) and received a Post-Doctoral Fellowship at the John Hope Franklin Center at Duke University (2007-08). Before coming to graduate school she worked in public health and international development and in web production. She also has a Masters in Public Health from the Mailman School of Public Health at Columbia University.